On May 4 and 5, the Media Corp CXO summit will take place again in Singapore. The Summit is by invitation only and gathers Singapore’s most senior marketing & customer experience executives for a strategic two-day event. The programme is geared towards exchanging knowledge and to interact on a range of important issues facing the industry. The two-day event includes keynote presentations, panel discussions and interactive speaker sessions. In addition there are pre-arranged 1:1 meetings between the delegate attendees and sponsoring companies. Among the speakers the CXO will feature Damien Cummings, Global Head of Digital Marketing at Standard Chartered, Clarence Lin, VP Group Strategic Marketing at DBS, Nicki Kenyon, VP Marketing APAC at Visa and Amran Khamis, Head Customer Experience and Innovation at Great Eastern Life. 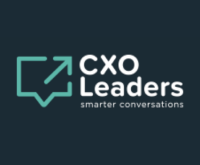 Registration and more information about the CXO event can be found here.